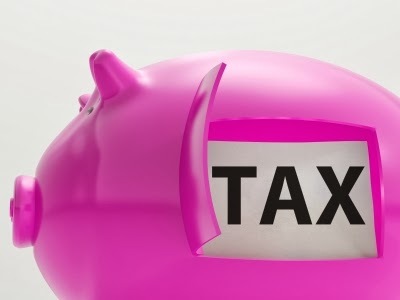 income tax can be harmful to your personal finance. Why ELSS more beneficial than other Saving Schemes? Popularly known as ELSS fund are offering tax benefits to the investors under section 80C of the Income tax Act. Equity Linked Saving Scheme which offers investors the dual benefits of capital appreciation and tax benefits. An investment of up to RS 1 lakh will give the investor a tax exemption. There is lock in period of three year in all ELSS scheme. They give better return than other diversified open ended equity scheme because of the 3 year lock in period as the fund manager has no redemption pressure for up to 3 year. Similar to other equity funds, ELSS funds also available in both growth and dividend options. Under the growth option investor get capital appreciation on the maturity time and under the dividend option, investor can receive a regular dividend income even the lock-in period not completed. Dividend amount and capital gain are totally tax-free in ELSS Schemes. 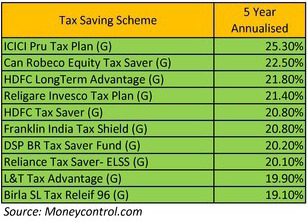 The Lock in period of such fund is only 3 year which is lower compare to other saving schemes like PPF (15 years), NSC (5 & 10 years) and Bank FDs (5 years). ELSS funds are linked to market but there are also good ELSS schemes which have given better return over a long time. You can also opt for SIP investments, which brings discipline in your investment. What are Some Downsides of ELSS Funds? Premature withdrawal is not possible in this type of funds before 3 years. Saving Schemes like PPF and Bank FDs allow withdrawal subject to certain conditions. All risk of equity market is associated with ELSS, so it is not advisable to risk adverse investors. Remember to check at the long term performance of the fund before invest in it. Also remember to look at the fund manager’s view of investment, portfolio return over the long term, portfolio of the fund and expense ratio. But over a long term, ELSS funds are the best tax saving instruments; especially if you are an investor who can take high risk. Recently SEBI board has accepted a long term policy for mutual funds which can give some tax incentives under section 80C of Income Tax act.